The Texas Longhorns hit the field at DKR-Texas Memorial Stadium again April 13 for the Annual Orange-White Spring Game (photo of the Tulsa-Texas 2018 home game by Jesse Drohen/Horns Illustrated). AUSTIN — Fresh off a sweet Sugar Bowl win and a Top 10 ranking for the first time in years, the Texas Longhorns are back on the gridiron in just a few short months. 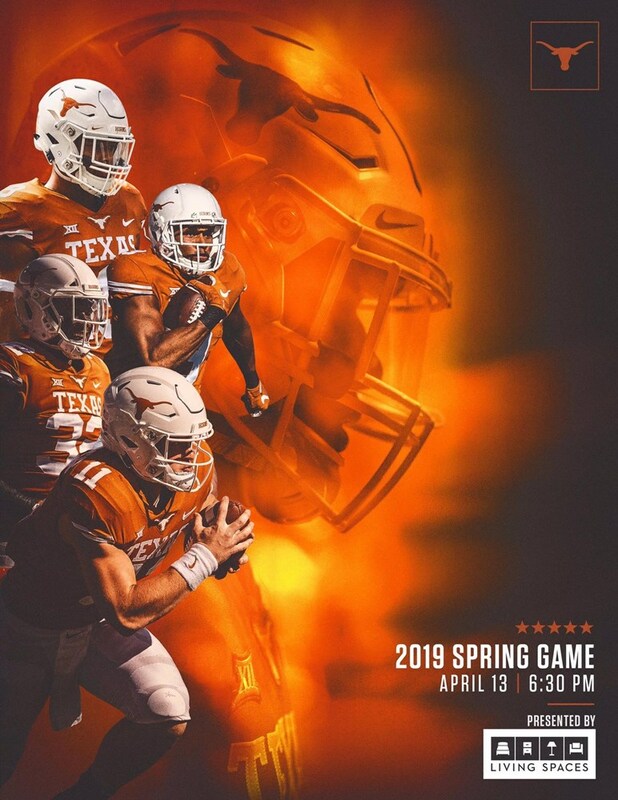 Showcasing returning veterans and newcomers alike, the No.9 Texas Football team hosts its Annual Orange-White Spring Game on April 13. The always-anticipated game will be played on a Saturday, with kickoff set for 6:30 p.m. at Darrel K Royal-Texas Memorial Stadium. Fans will have a chance to see both sides of the ball show off what the Longhorns learned and developed during the spring offseason. The Longhorns are already back at it, hosting their first workout of the offseason this week and gearing up for what's sure to be another thrilling season in 2019. 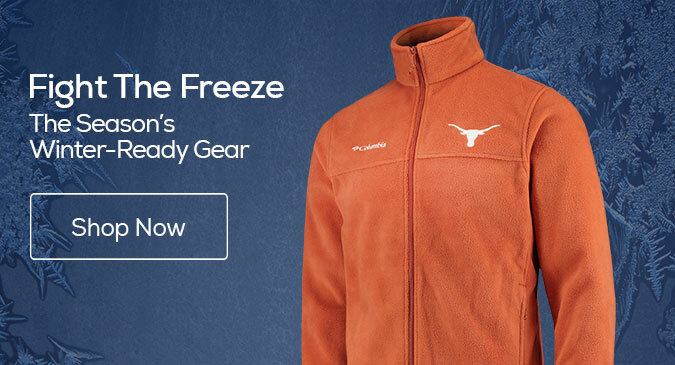 The University of Texas also announced that renewals for season tickets to the upcoming 2019 football season will be sent out to fans in February. Furthermore, those fans looking to become new season ticket owners can currently put down a deposit as they look to secure a permanent seat for the upcoming campaign. 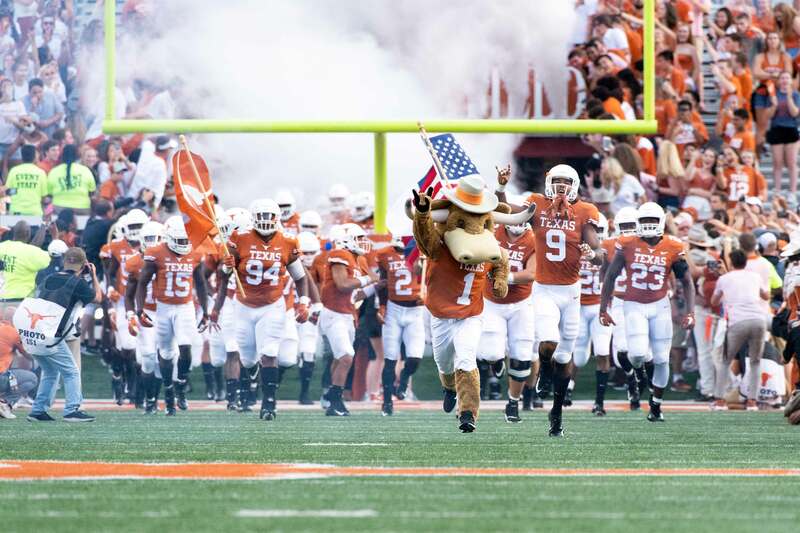 The Texas Football Orange-White Spring Game is coming April 13 (photo courtesy of Texas Sports). According to UT, season ticket deposits are $200 per seat and fans get the chance to select the location of their seats in May. Deposits can be placed online at TexasSports.com/tickets or by calling 512-471-3333, and more information can also be obtained by emailing tickets@athletics.utexas.edu.